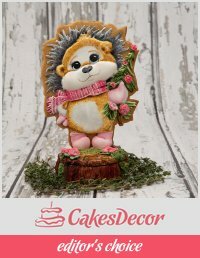 Bobbie takes you step by step on a 2 hour and 30 minute journey to create a royal icing piped cake using some of the Lambeth cake decorating method. 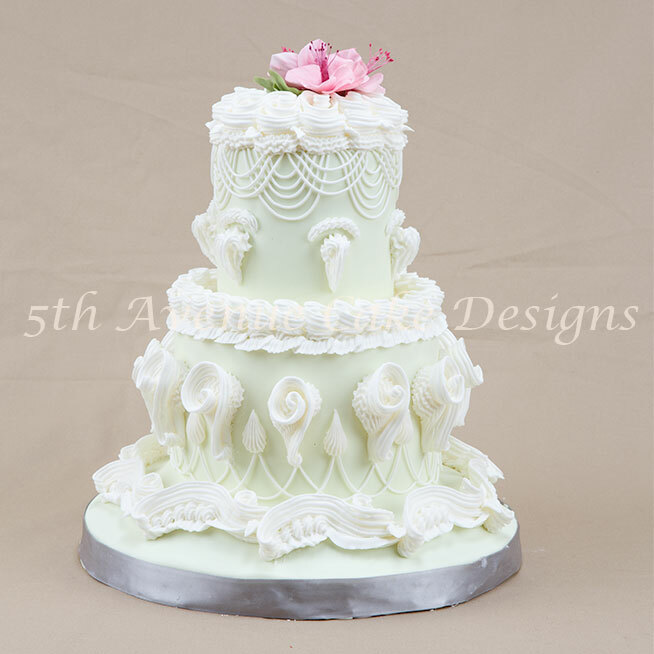 Part 1 focuses on the top tier of the your next cake with 3d puff balls, string piping, and 5 layers of over piping. 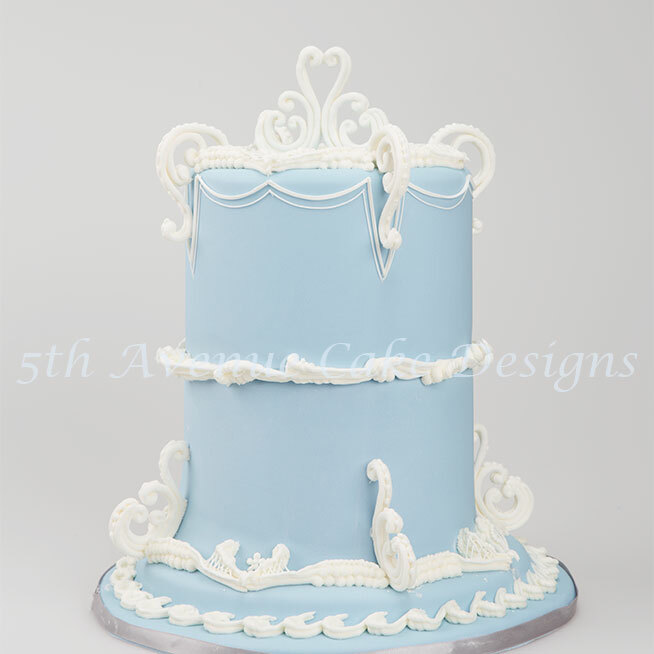 Part 2 focuses on the bottom tier piping wonderful borders, elegant 3d decorations, and awesome string piping. 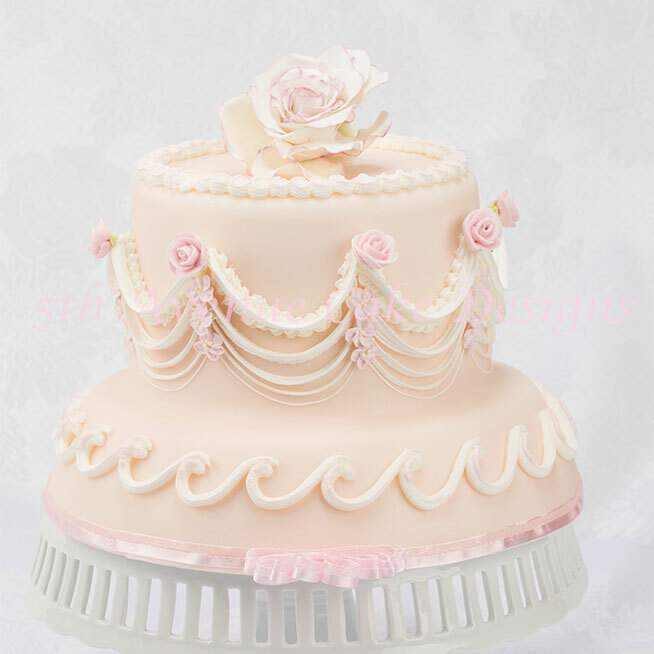 Learn the art of piping a European Over-Piped String-Work Cake. Bobbie combines Borella’s technique and Joseph Lambeth’s method in a 58 minute video. You’ll learn how to pipe a zig zag scallop, dimensional over piping, string work, with toothpick roses and 5-petal blossoms. Learn 3 new Lambeth style borders, scroll work, and elegant dimensional string-work. Video recordings are in HD format, please allow time to download.